"Come and try our new breakfast sandwich. 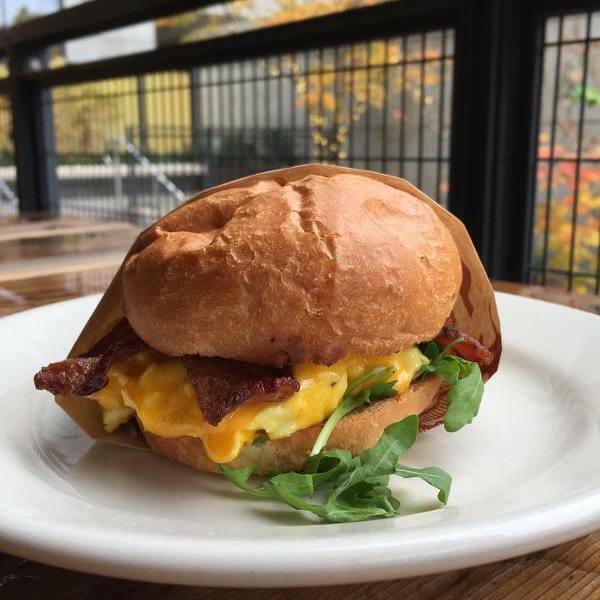 Eggs, cheese, arugula, and chipotle mayo with your choice of meat. So #deliciousness."